Our store is undergoing some exciting changes which will take us a bit to accomplish. Remember, all prices include sales tax. 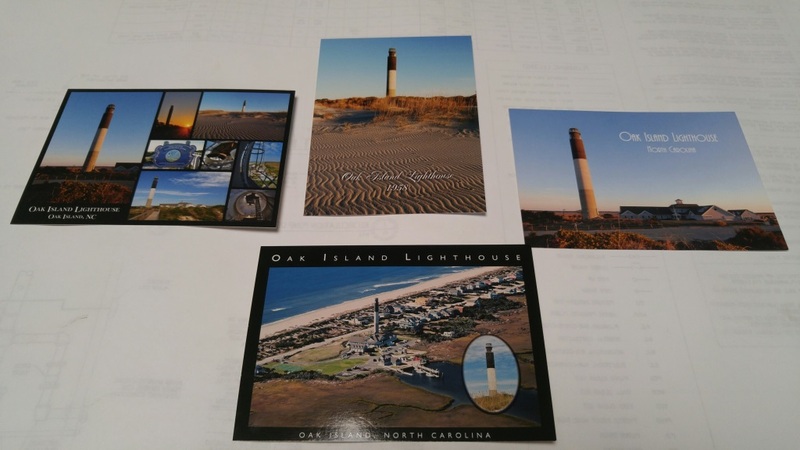 To order, send an email to oakislandlighthouse@gmail.com with all order details including mailing information and we will reply back with total cost and payment options (click on picture for a larger image if available). 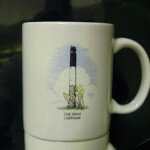 Oak Island Lighthouse Coffee Mug – Porcelain Coffee Mug with Lighthouse Logo. Holds 8 oz. White only. 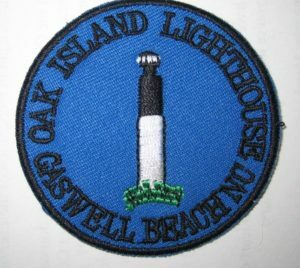 Oak Island Lighthouse Baseball Caps – These caps are adjustable and come in many colors including 2-tone ones. Colors may vary throughout the year. Email for current colors. 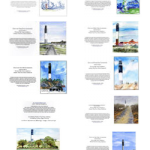 Oak Island Lighthouse Note Cards– Lighthouse Note Cards-Several beautiful renditions of the lighthouse created by local artists. 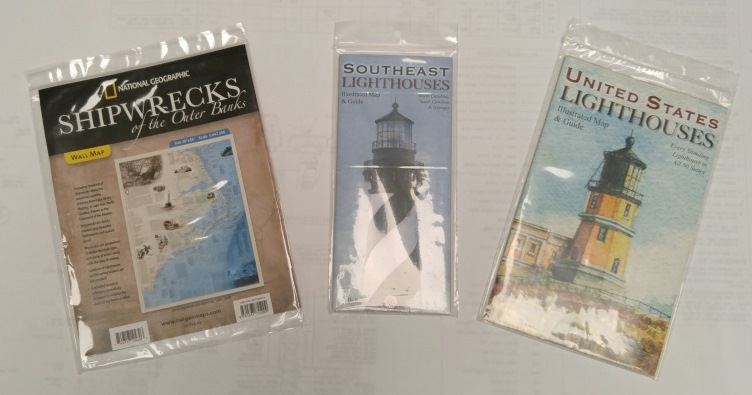 The multi-card packages can be either in assorted pictures or all of one picture. 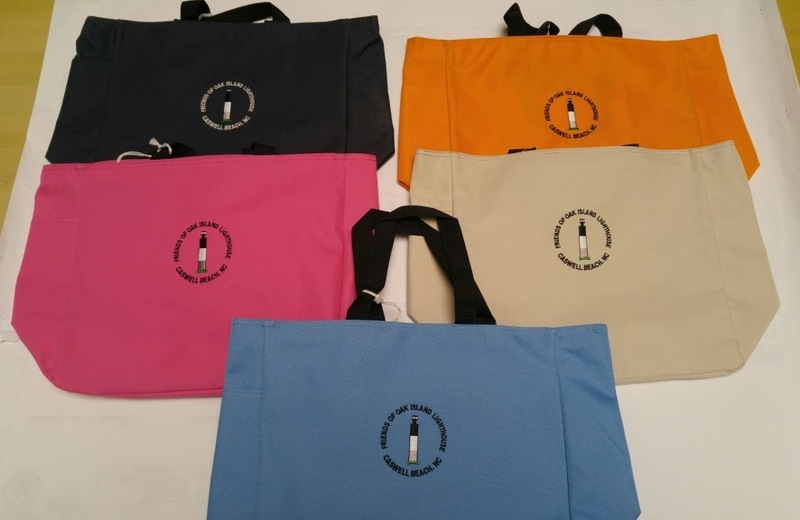 Oak Island Lighthouse Beach Bags – these bags are embroidered with the Friends of the Oak Island Lighthouse logo. Bags are available in many colors and perfect for your next visit to the lighthouse or beach. Easily fits a laptop computer and is a must-have for the frequent traveler. Email for current colors. 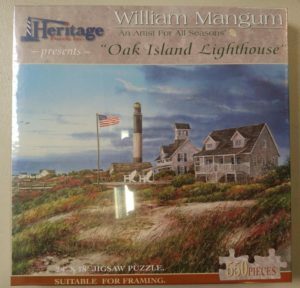 Oak Island Lighthouse Puzzles – Oak Island Lighthouse Jigsaw puzzle of the Oak Island Lighthouse by Heritage Puzzles. 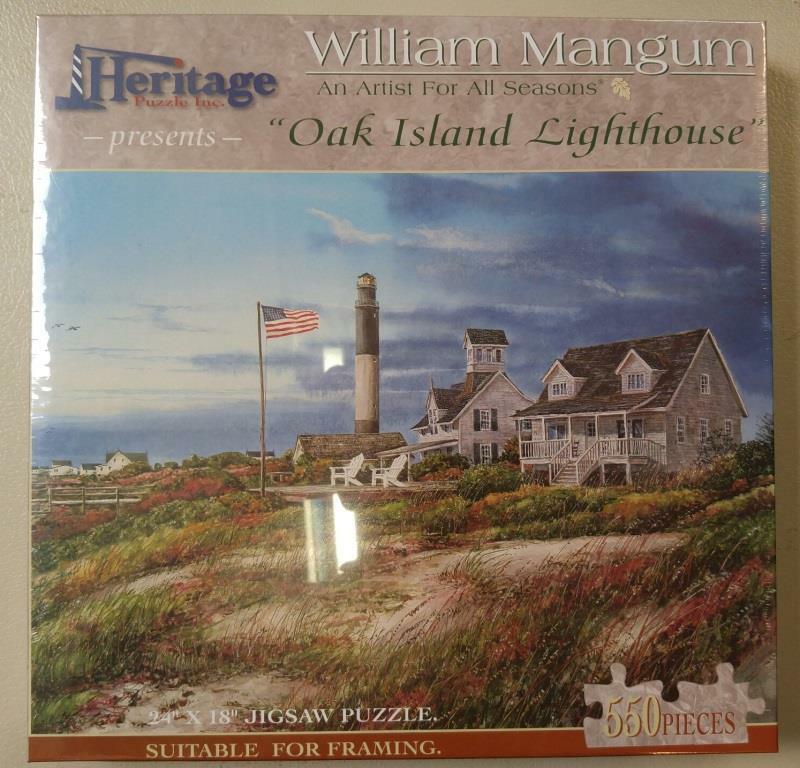 The puzzle (24×18) depicts a view of the lighthouse from the beach strand with a picture of the old Coast Guard Station in the foreground. Oak Island Lighthouse Refrigerator Magnets – Two photo magnets depicting scenes of the Oak Island lighthouse and one is a silhouette cut to shape. 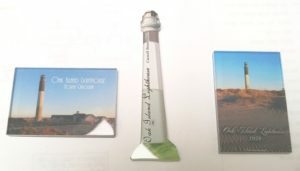 Glossy Postcards of the Oak Island Lighthouse – Starting at the left and running clockwise – collage of several photos of the lighthouse, signs and grounds; Lighthouse from the Beach; Lighthouse with Coast Guard Station Next Door; Areal view of Lighthouse and Coast Guard Station. All postcards measure 4 3/4″ x 7″. Price: $1.00 ea. Lighthouse Mystery Book Series – Three different mysteries in a series starting with adventures on Oak Island and the Oak Island Lighthouse following on to Bald Head and finishing with Price’s Creek. 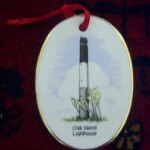 Excellent Christmas Gifts and a must have for families that live in the area or have visited with children. 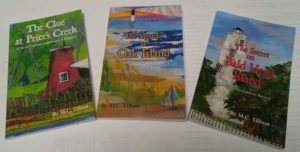 These books are written at about the 4th grade reading level and fully illustrated. 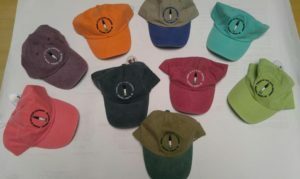 Price: $10.00 ea. Embroidered Patch – Can be sewn onto hats or other clothing and great for our scouting visitors. Price: $3.00 ea. Lighthouse lapel/hat pin approx. 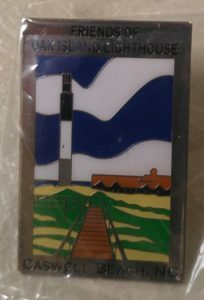 1″ x 1.5″ – Sturdy metal pin depicting the lighthouse, Coast Guard Station and walkway. Price: $3.00 ea. 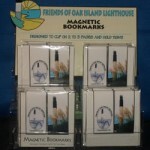 To order, send an email to oakislandlighthouse@gmail.com.